Play live casino games on Android for the same convenience of internet gambling, without the RNG. For two decades, we’ve been able to play the same exciting, real-money games found in brick-and-mortar casinos from the convenience of home. Halfway down the road, mobile gambling came along, giving us access to these games on the go. But the RNG element has kept many gamblers away from the digital tables year after year. The RNG, or ‘Random Number Generator‘, is a computerized program that’s designed to mimic the random nature of card shuffling. Time and again, it’s been proven that shuffling RNGs mix up the cards so well that the deal is just as unpredictable as a physically shuffled deck of cards. But the fact that RNG software is controlled by a computer chip—one that can, feasibly, be altered by duplicitous programming—is enough to keep many players at bay. 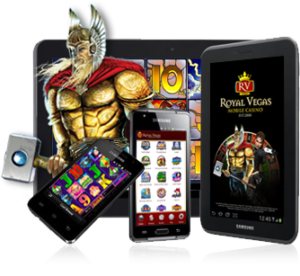 Android live casino games give gamblers the best of all worlds. It is the live streaming equivalent of being right there in a land-based casino, surrounded by other players and a real live dealer. There are real cards, shuffled by a real person, and even a floor manager walking around to uphold the integrity of the games. And it all happens on the pint-sized screen of your Android powered smartphone or tablet. Live casino games on Android do not use an RNG for any purpose. 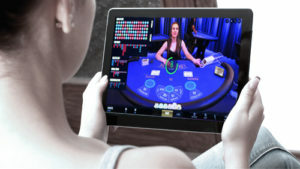 The live-streaming tables can be played from home or anywhere else an internet connection is available. The video and audio quality vary by casino operator and live casino supplier, but generally speaking, they all work the same way. Android live casino games are made available by the same casino operators that provide RNG-based gambling options. When visiting an online casino, glance at games menu for a ‘Live Casino‘ tab. All of today’s major operators supply them, so if you don’t find one, it’s probably time to seek out a new website for all your gaming needs. Once you enter the Live Casino portal, you’ll find a variety of live table games to choose. Like video/audio quality, the game variety will vary based on which supplier the casino employs. Playtech is known to offer the widest range of table games. Evolution Gaming is known for having the best overall quality. Choose your supplier wisely. Personally, I’m a ‘quality over quantity‘ type of person, so I always choose the Evolution-powered live tables, available at top brands like 888 Live, Platinum Play, and Royal Vegas. These sites offer a stellar reputation, backed by years of experience, trust and customer satisfaction. And they all utilize Evolution’s multi-award-winning live casino. Once you find the live dealer casino game you want to play, tap on it. A lobby menu will open with a selection of tables to choose from, listing how many players are seated and/or waiting at each. Tap the table you want to join, and if there’s a seat open, you’ll be be able to place a bet to be dealt into the next hand. The game play is fairly simple from there. Follow the rules of the game and use the available buttons to size and place bets, and make any necessary decisions. Good luck!